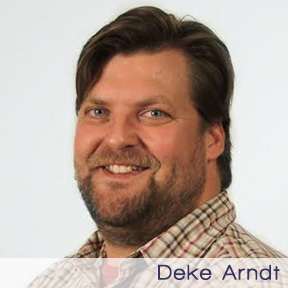 Deke Arndt is a climate scientist based in Asheville, North Carolina. For the past seven years, he has served as a lead editor of the State of the Climate report, published annually in the Bulletin of the American Meteorological Society. The report is the “annual physical” of the climate system, from the bottom of the ocean to the top of the atmosphere. More than 400 scientists from 50 countries contribute. He is currently the Chief of Climate Monitoring at Asheville’s National Centers for Environmental Information. He is a graduate of the University of Oklahoma School of Meteorology and a member of St. Eugene’s Catholic Church in Asheville.